Since 1994 Graffitti Studio provides professional subtitling services in 30 European languages for movies, TV programs and TV serials, commercial videos, TV spots, E-learning media and various types of multimedia content. Subtitling has no alternative in modern media communication as subtitles add new markets for news, sport, education and entertainment in different languages and different countries. Subtitling has opened up the world of television, movie theatre and advertising to the deaf and hard of hearing people. Our indoor subtitling production is cost effective and enables us to support large volumes of work. We manage a network of linguists to ensure high quality translation of the source script and to deliver the message of the text throughout the specifics of different languages. 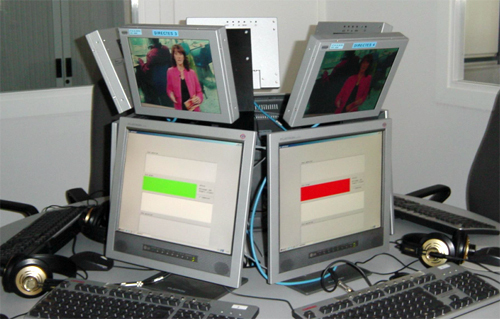 Our subtitling workstations support all popular subtitling formats used in TV programs in Europe. Graffiti Studio provides a full range of foreign language subtitling services and multilingual subtitling. We provide a complete subtitling solution: we organize, manage, record and deliver your product without any compromise on quality or deadlines. Depending on individual demand and nature of the project our team will give you the best resolution and advice on the most appropriate subtitling project approach. Explore the benefits of working with a first class subtitling production studio! From short corporate and e-learning videos to large TV program localization subtitling in multiple languages, Graffitti Studio provides a complete solution based on professional approach, excellent project management and responsible attitude, attention to details and quality control on each subtitling production level.